The high to low-level converter is connected from the speaker outputs of a car audio system to the line level inputs of an amplifier. With this converter, voltage is stepped down to reduce the high output level of the car audio system to match the more sensitive line input of the amplifier. 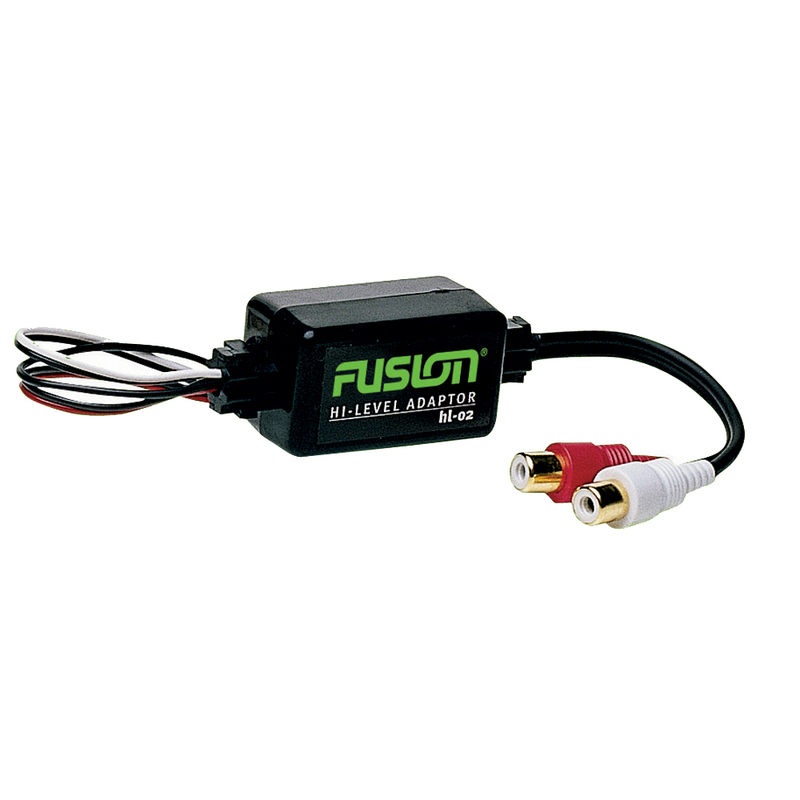 The FUSION HL-02 is ideal for use with OEM audio systems where no RCA outputs are present. Features connectivity with head units that have no RCA pre outs can be connected to an amplifier.